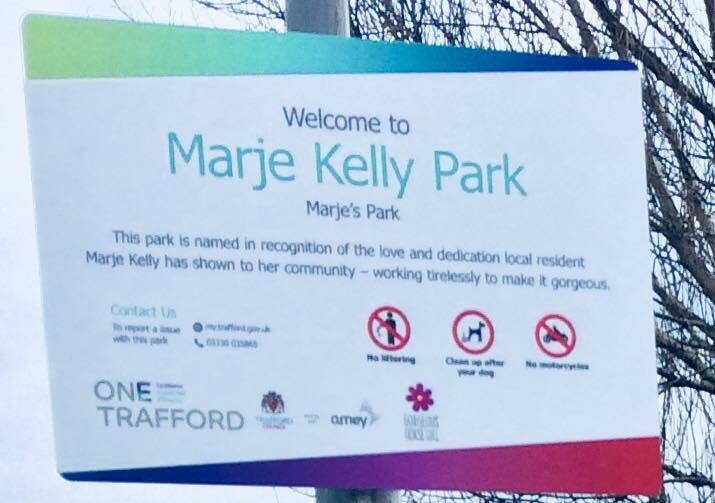 Gorgeous Gorse Hill – Stretford | Making Gorse Hill even more gorgeous! It always feels appropriate that Gorgeous Gorse Hill hold our AGM in January every year, it’s dark, it’s cold and most of our planting is dormant. 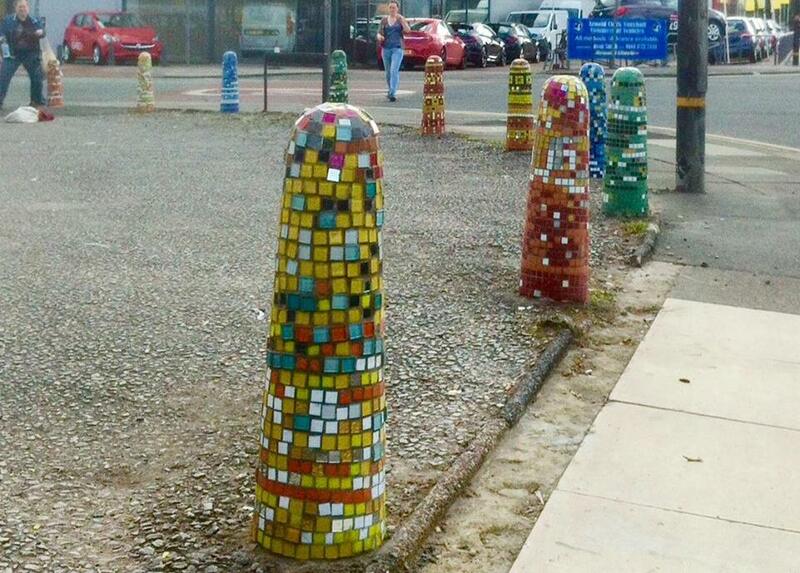 But our mosaic bollards continue to sparkle on frosty night and our birds, butterflies, bees and caterpillar (have you spotted our tiniest art on the bollards at Ravenswood Rest Space) art puts a smile on your face on a damp trip to Tesco. 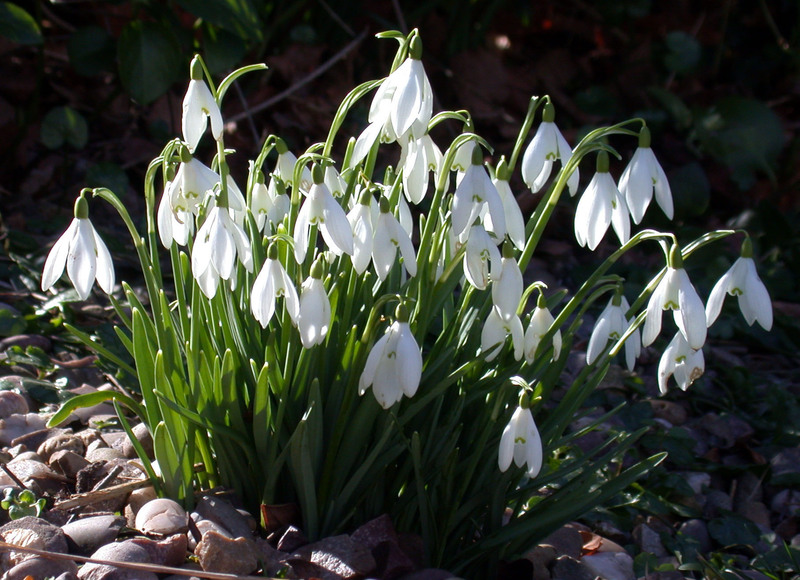 Then there are the snowdrops, two years ago a few of us planted 1000 of the delicate little beauties and now when they appear they herald another year for us. But, I’m drifting off into reverie and really came here to talk about how our last year went, well pretty well if I say so myself. Ravenswood Rest Space continues to develop with the addition of our amazing mural by Venessa Scott and our incredible chainsaw sculptures and benches by John Lee; there’s still work to be done on this area but the addition of art, benches, bird boxes and yet more bulbs to keep those snowdrops company is making a difference. 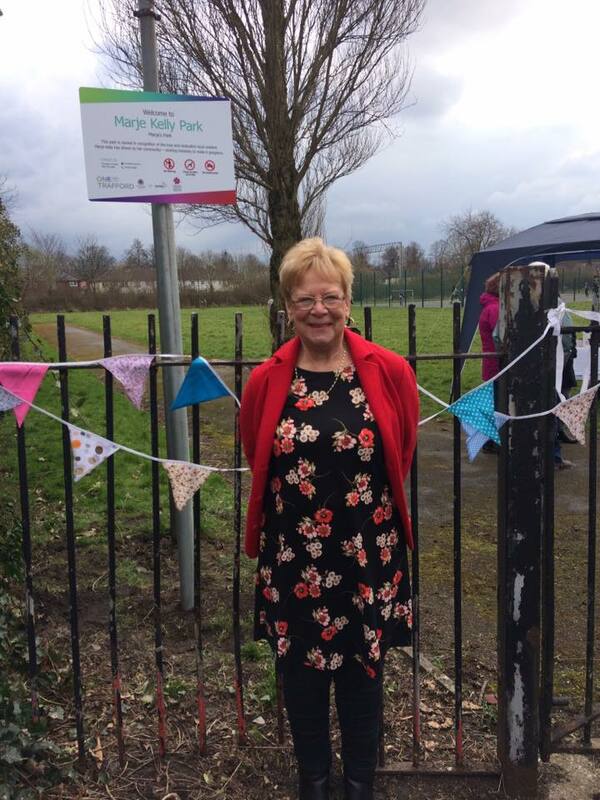 As a result of winning Tesco’s Bags of Help funding we were able to convert one of the worse grot spots in Gorse Hill on the canal bridge into a wonderful pocket park. This will create another wonderful spot for nature as well as much more pleasant stopping off spot for kids coming home from school and carrying the shopping home. Finally, we planted eight wonderful trees as part of our New for Old Project. The trees look stunning and we spoke to lots of our older residents who had some amazing memories of parks and trees around the area. These great memories will be added as carved tags to the trees in the Spring. 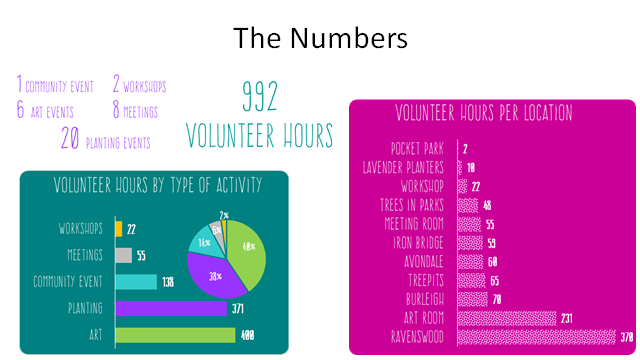 All of these are achieved through a phenomenal amount of hard work by volunteers, you can see below how many hours were put in last year and we are eternally grateful. This year we’ll be working hard to recruit more volunteers as a community group is only as good as its active volunteers. So what next? We are now doing a regular action hour every week to keep on top of maintenance on our many sites. We are also planning an action packed month in the summer, with lots of activities, events and opportunities to get involved. 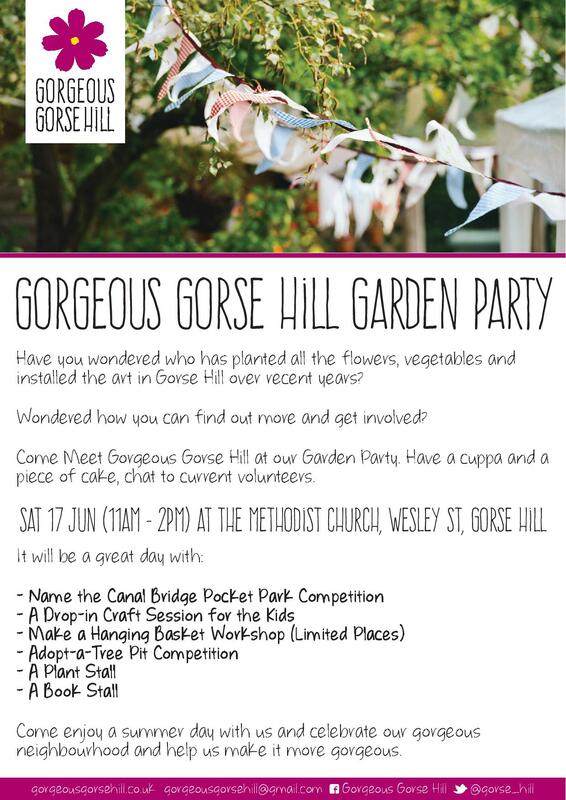 So, if you’re new to Gorse Hill of just want to do more, get out more and get to know your neighbours, what’s holding you back. 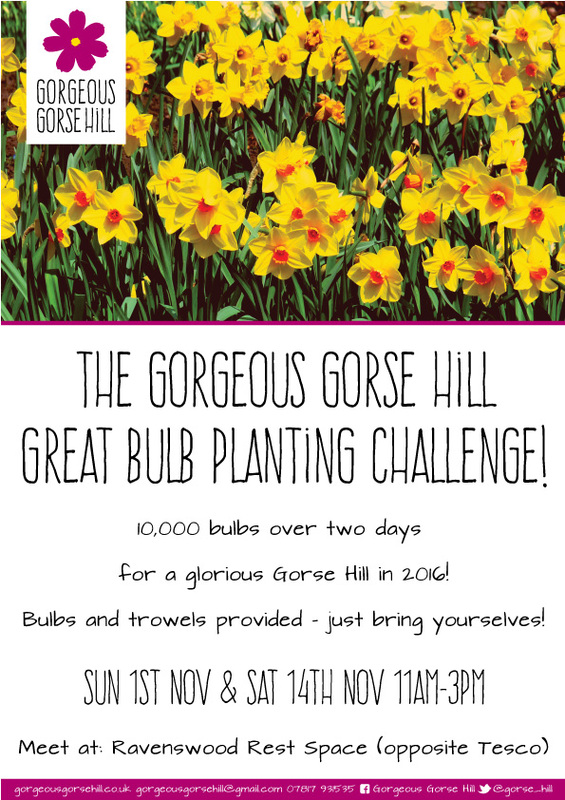 Come on, let’s make Gorse Hill gorgeous together. 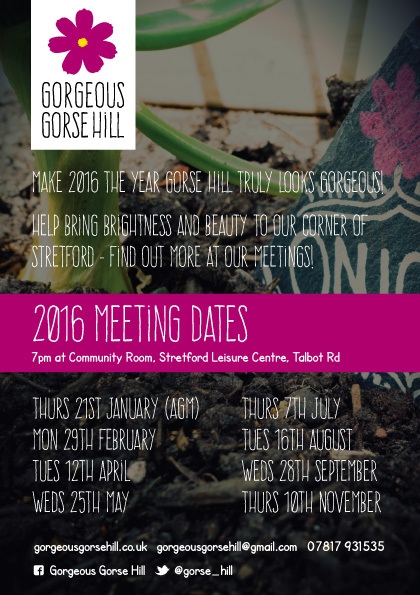 Tuesday 29th March 2016, 6.30 – 8.00pm sees the gorgeous Brenda Smith from Bud Garden Centre, getting Stretford’s beginner gardeners growing their own from seed! 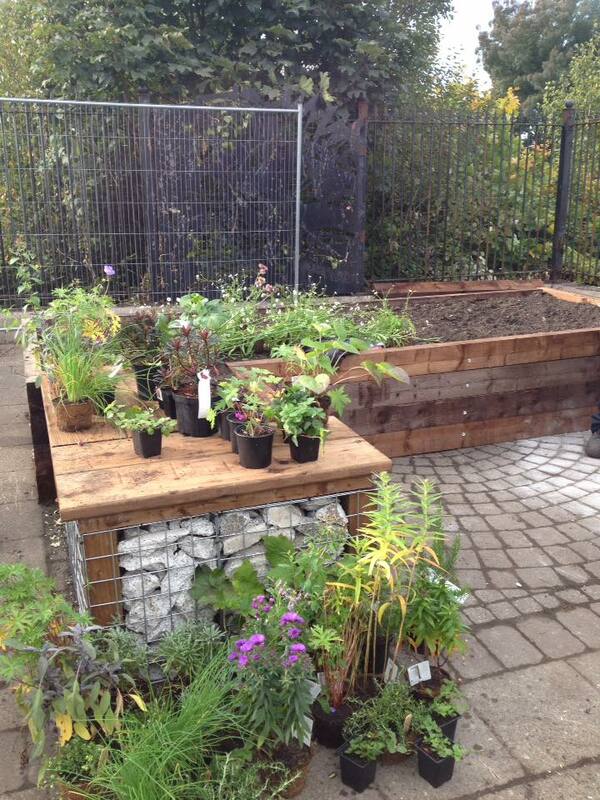 Come along to the Gorse Hill Scout Hut on Beresford Rd, and kick off your summer of scrumptious, home-grown grub. 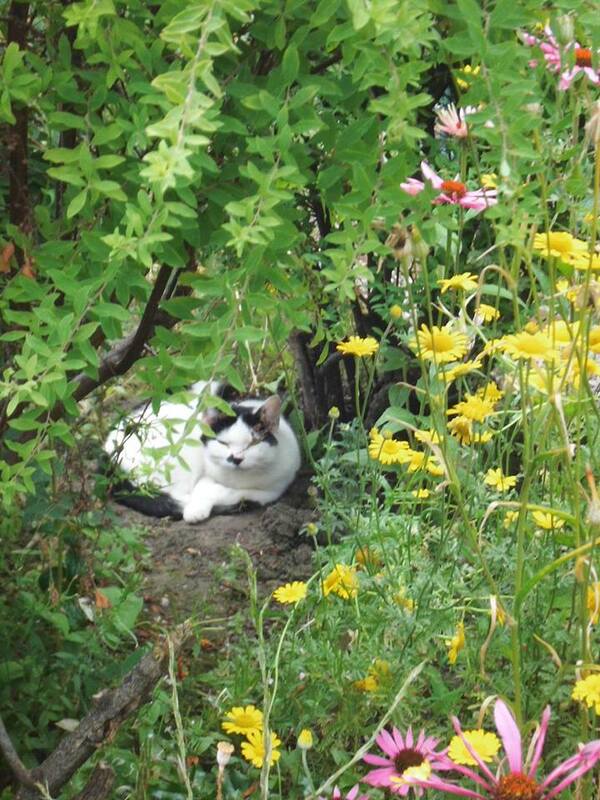 Compost, pots and seeds are provided, but feel free to bring your own. 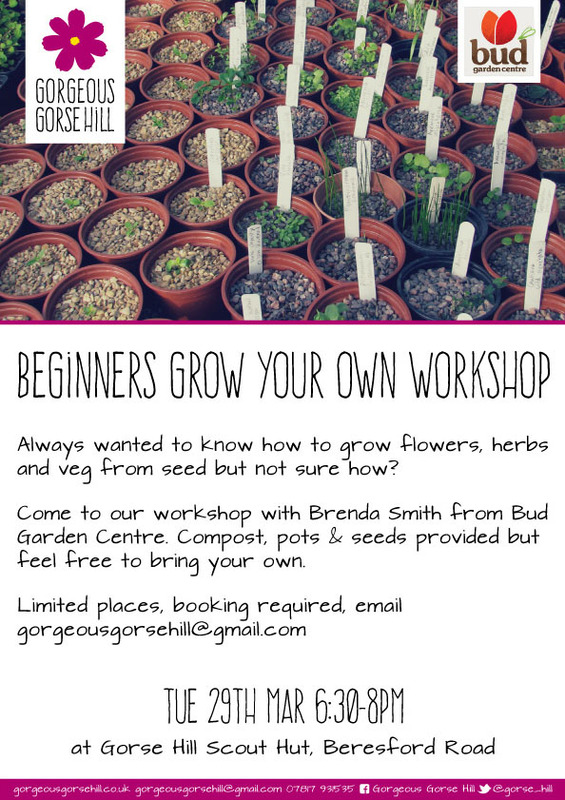 Places are limited, so email gorgeousgorsehill@gmail.com to book a space. A discussion on social media had led to some pretty negative attitudes from a few local residents coming Gorgeous Gorse Hill’s way and it got me thinking about community. What is a community? Margaret Thatcher famously said, there is no such thing as society (a term closely linked to community initiatives). Was she right? There are so many initiatives at the moment that encourage communities to take ownership of what happens to them, to influence this, to drive it and increasingly to do it themselves.